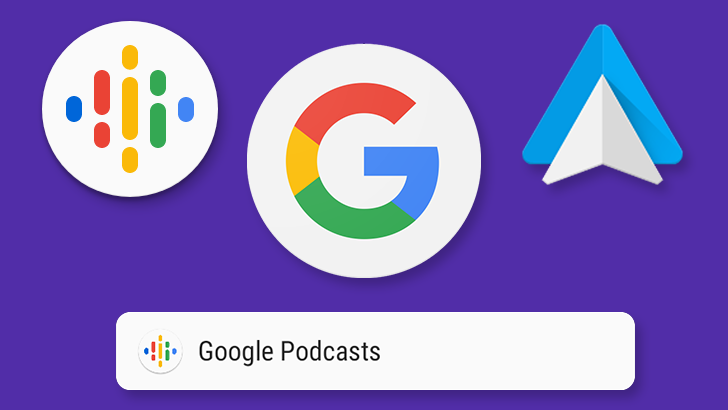 When Google released the all new Podcasts app (again), many people were surprised its stark lack of features. 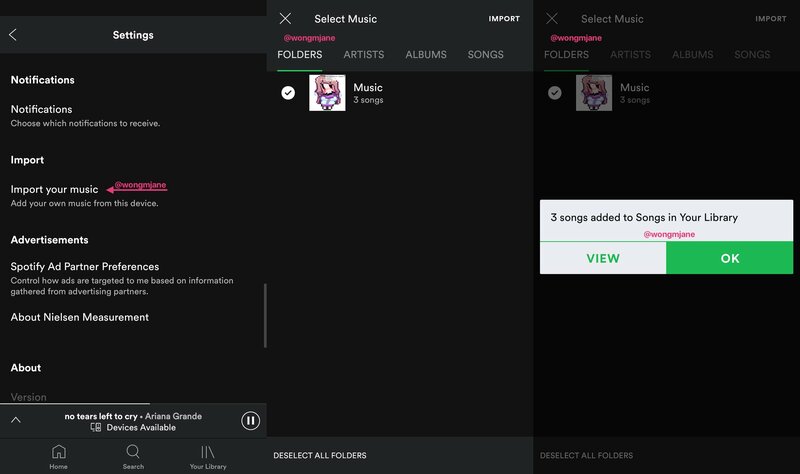 Many things were missing, like auto-downloading, Cast support, and Android Auto integration. 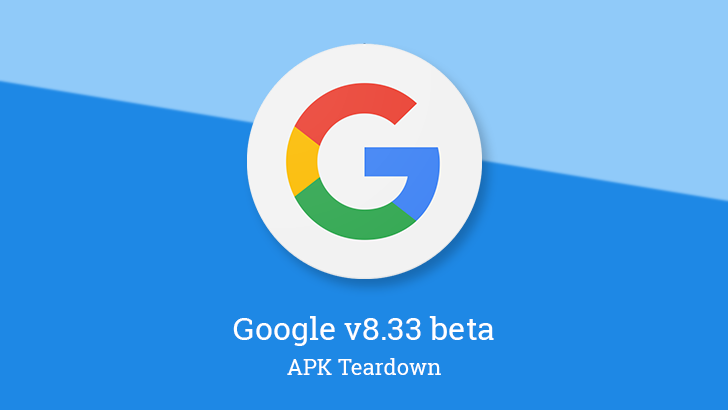 While many of these things have either trickled in, or are obviously on the to-do list, Google v8.91 is finally checking Auto support off of that list. 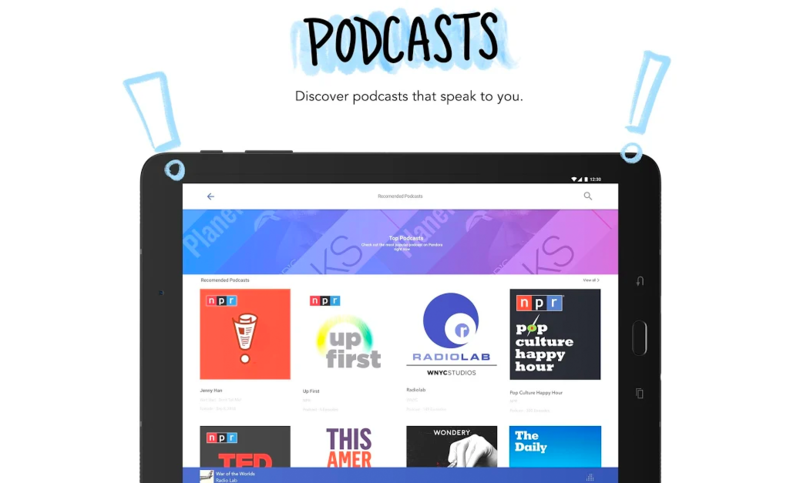 The latest update to the music discovery app Pandora finally adds a much-requested feature — podcasts. More than 100,000 episodes across a wide range of genres are available through Pandora as of the latest version, so if you're a heavy user of the app who's been going elsewhere for your pods, you no longer need to. We love dissecting APKs here on Android Police — our own Cody spends his entire day going through all of Google's apps looking for the tiniest of changes that could hint at an upcoming feature, so we appreciate a lot the work others do when they look at apps that we don't have the time/manpower to. Take Jane Manchun Wong, for example. 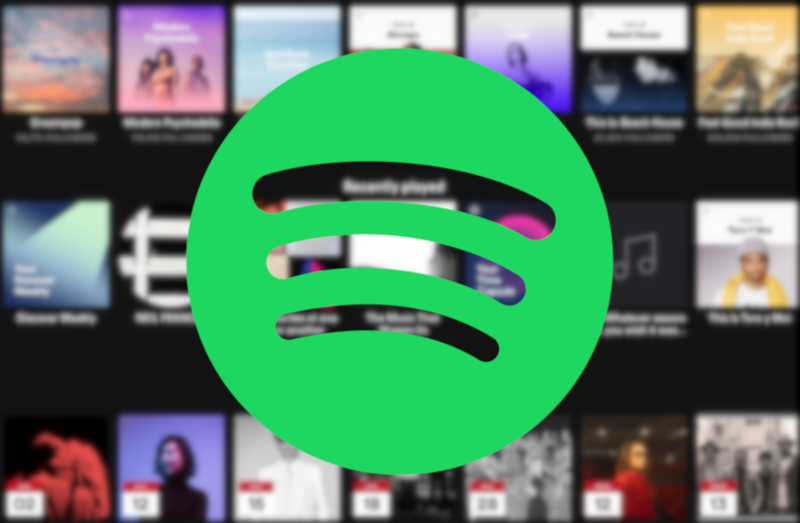 She's been leaking Snapchat, Facebook, and Instagram features for a while, and her latest dip into Spotify has yielded a lot of interesting discoveries. 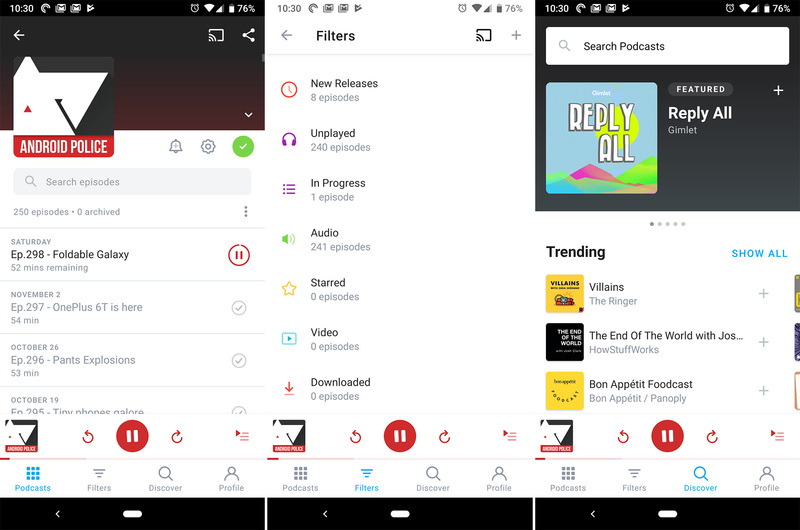 Pocket Casts has long been a go-to podcast player for many Android users, but it hasn't seen any appreciable visual updates for years. That changes today. The v7 beta build shows off a fully redesigned interface, along with some new usability features. In the voice assistant market, the most meaningful features often don't sound that impressive: more often than not, people use Google Assistant to do things like set timers and entertain the kids by playing fart sounds. It's not too sophisticated yet, but gradually we're heading toward the all-knowing AI of our dreams (and/or nightmares) — all it takes is consistent feature releases. 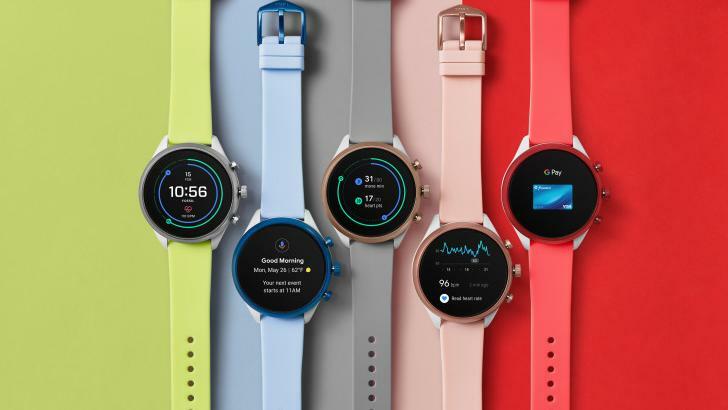 Google is announcing a slew of those for US users today, including the integration of Google Assistant routines into the Android Clock app, the ability to put your device into Do Not Disturb mode via smart speaker, and more. 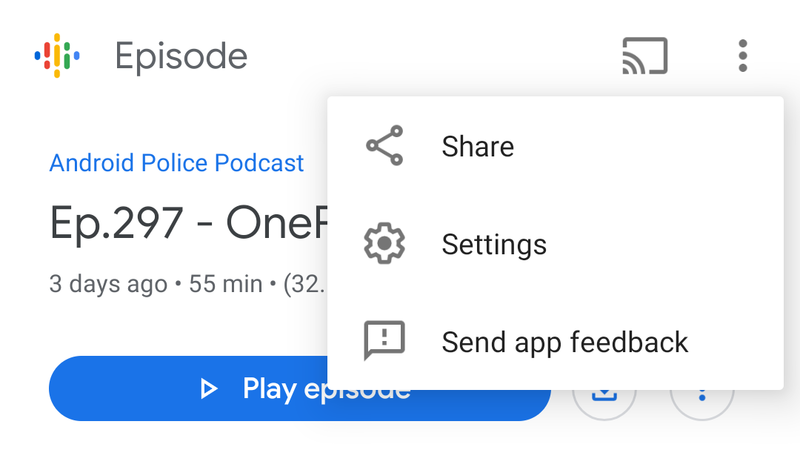 Google Podcasts is pretty widely regarded as lacking in features its competition has — notably, you can't mark multiple episodes as played at once or set the app to automatically download new episodes of shows you're subscribed to — but it's gradually improving. 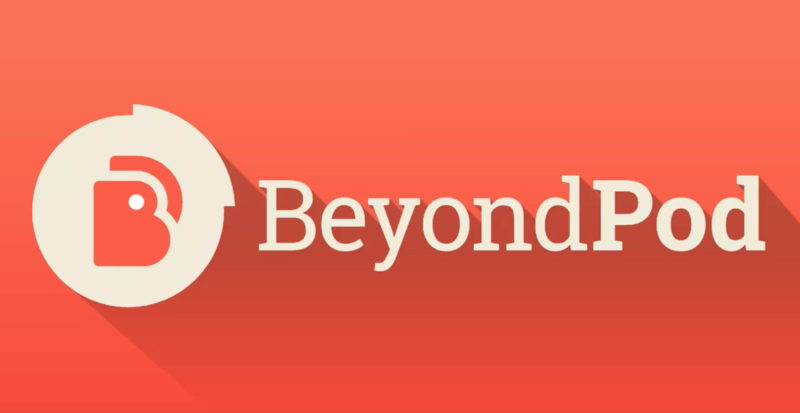 Case in point: the app can now generate links to podcasts and shows for easy sharing.